As the airplane descends to Flamingo Airport, Bonaire welcomes you. The Caribbean island has the shape of a boomerang and it stands out beautifully against the azure ocean water. 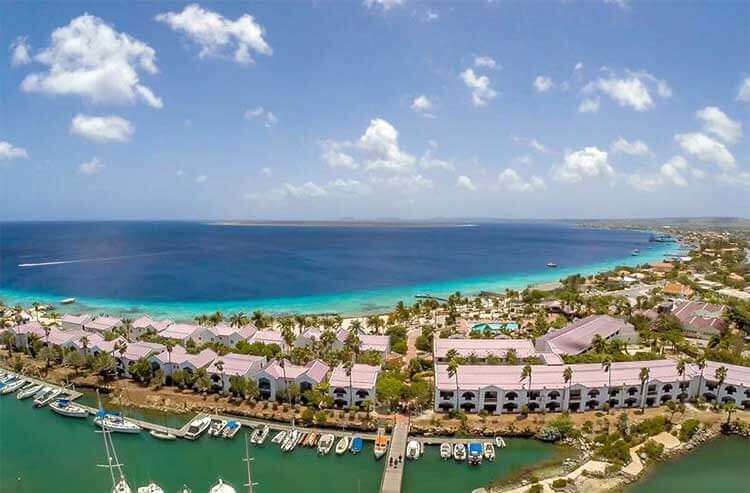 At the nod of the boomerang, 800 meters from the coast, Klein Bonaire is located, a beautiful deserted island with a surface of only 6 square kilometers..
Bonaire is located in the southern Caribbean and is part of the Dutch Leeward Islands, together with Aruba and Curaçao. The Caribbean island is characterized by its tranquility and untouched nature. 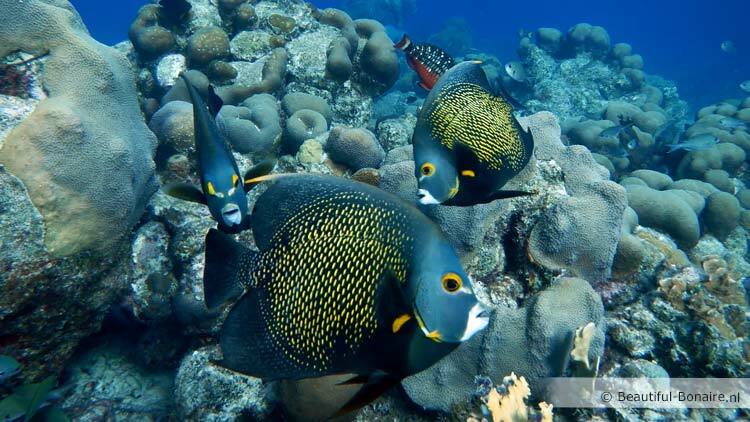 The main attraction of Bonaire is the breathtaking underwater world of the Bonaire National Marine Park. The coral reefs of Bonaire are the habitat of an enormous variety of beautiful tropical fish and other colorful sea creatures. Because Bonaire is located outside the hurricane zone, the coral is also of very high quality and entirely intact. On most Caribbean islands devastating storms have made irrecoverable damage to the fragile coral reefs. Diving and snorkeling on Bonaire are also very convenient. At any time of day you can drive to the coast and take a dive from the beach and you will access the coral reef right away. 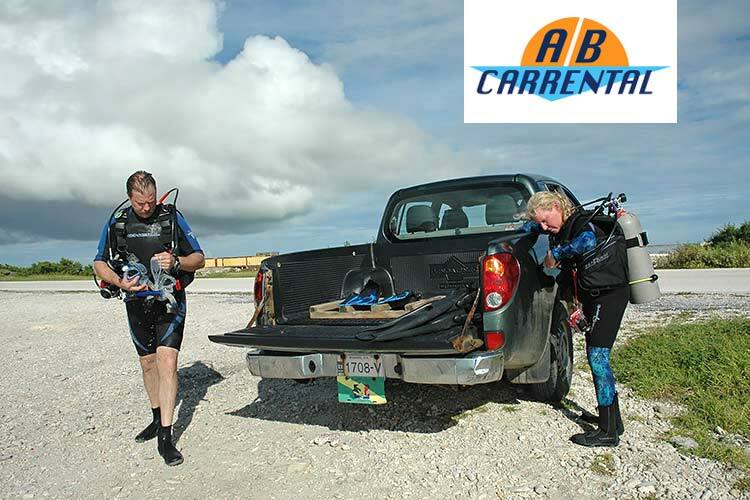 This is very attractive to the diving tourists and it distinguishes Bonaire from most other dive destinations worldwide. Not only the underwater world of Bonaire is breathtakingly beautiful. The north of the island is hilly and is part of the impressive Washington Slagbaai National Park. The picturesque Kralendijk is located in the center of Bonaire on the west coast and is the political, cultural and business center of the Caribbean island. The flat south is the area of enchanting salt pans and a turquoise lagoon surrounded by a unique mangrove vegetation. Furthermore, Bonaire is world famous for her Caribbean flamingos. There are only four places left on the Caribbean islands where this majestic bird still breeds. The flamingos can only breed in absolute peace and Bonaire is one of the few places in the world where that is still possible. The pink-red birds are easy to observe at different locations on Bonaire. The Yellow-wing Amazon parrot is another unique species of Bonaire. Of these birds, named ‘Lora’ in Papiamentu, there are only 450 left in the wild. The color combination of green and yellow on the head of this parrot is found only on Bonaire. Even tourists who do not dive but still want an active vacation on Bonaire have come to the right place. Windsurfing, snorkling, kitesurfing, sailing, mountain biking, land sailing, hiking and horseback riding are just some of the many possibilities of water and land activities on the Caribbean island. There are so many beautiful sights throughout the island. This varies from the traces of the first inhabitants of Bonaire to the most impressive natural phenomena such as caves, rock formations, blowholes, bays, beaches and rough coasts. Culture enthusiasts will find their way on Bonaire in the various museums, galleries, monuments, ancient churches and historic buildings. The annual carnival and the Bonaire International Sailing Regatta are two highlights of the public life on Bonaire, schools close and there is a great party atmosphere on the island. Since October 10th 2010, the Netherlands Antilles is abolished and Bonaire has become a special municipality of the Netherlands. This change will provide new opportunities for the Caribbean island. Compared to Aruba and St. Maarten tourism in Bonaire is still in infancy. Policy makers on the Caribbean island will have to find a delicate balance between prosperity and durability to save the uniqueness of Bonaire and to preserve the magnificent nature for future generations. Bonaire is not only interesting as a tourist destination. It is also a popular place to do an internship or to work. Emigration is also an option. For example, many retirees prefer the warm Caribbean climate over that of the cold and chilly Europe and move to Bonaire. In addition, it could be interesting for various reasons to buy real-estate on Bonaire. People who emigrate to Bonaire will be looking for a new home. Others will buy a second home on Bonaire to rent or to speculate on value increase. Whatever the motivation may be to stay on Bonaire, the Caribbean island is a fun and relaxing destination where you can find all the ingredients for a fantastic sunny time. With the amazing all inclusive formula of Plaza Resort you can enjoy unlimited on Bonaire! 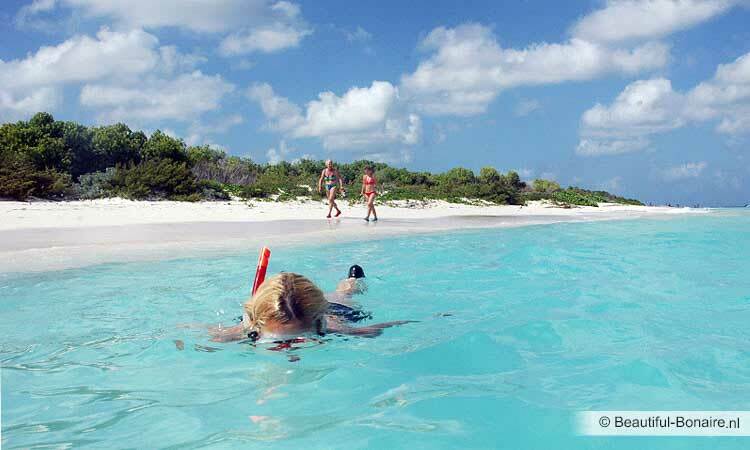 Do you want to go snorkeling on Bonaire? Join the Klein Bonaire snorkeling Tour! Are you going to dive on Bonaire? Then you definitely need a car! Rent a car at AB Car Rental! The best activities on Bonaire can be easily booked at home online at Guide and Go! Aare you looking for a hotel or resort at Bonaire? Check out great deals at booking.com!